The lowest price of Apple iPad 32 GB 9.7 inch with Wi-Fi Only ( Silver ) is at Infibeam where is it is for INR 26262. This price is INR 170 lower than the other price for the product. The prices for the product change across variants. 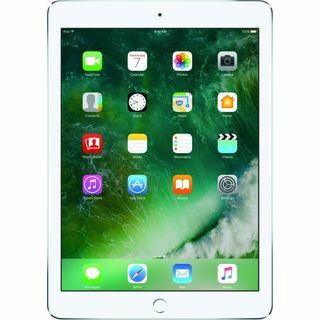 The price for Apple iPad 32 GB 9.7 inch with Wi-Fi Only ( Silver ) is valid across Bangalore, Hyderabad, Chennai, Mumbai, Delhi, Pune and Kolkata. The Apple iPad 32 GB 9.7 inch with Wi-Fi Only ( Silver ) is available at best price of INR 26262 on Infibeam. Received a defective product. Speaker is not working properly and thanks to flipkart they told its not their problem and all the return policies are for fun.. disappointed.. selling second quality products and cheating customers.. dont buy.. Please don't buy from IndiFlashMart. Their iPhones and iPads are defective. I bought two iPads and one iPhone from them and all of these have problems with them and had to be taken to the service center. Flipkart is very unhelpful with refunds. Horrible experience. A great value for money tablet with excellent battery life and no performance issues at all!